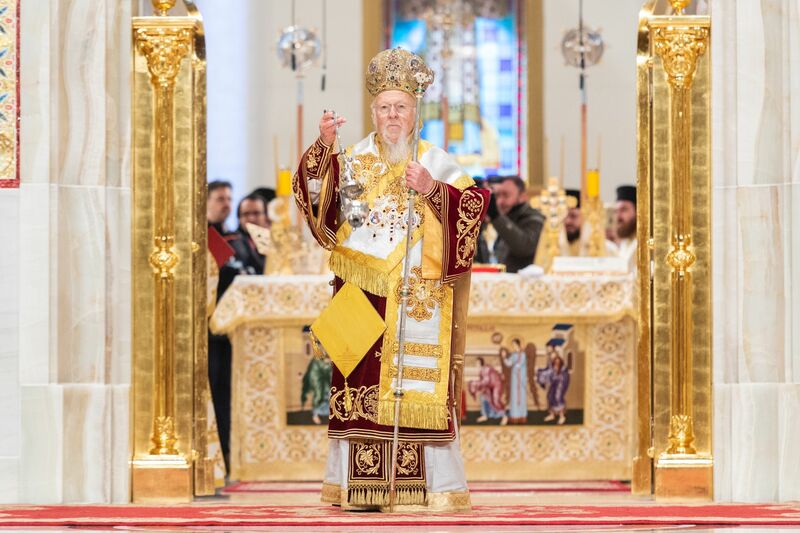 Sunday morning, His Holiness Ecumenical Patriarch Bartholomew and His Beatitude Patriarch Daniel of Romania officiated the consecration ceremony of the Romanian People’s Salvation Cathedral in Bucharest. 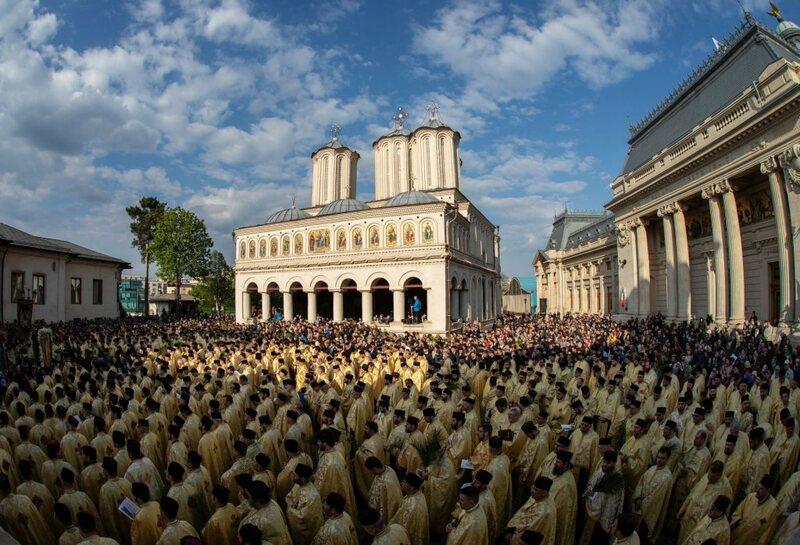 The idea to build the Romanian People’s Salvation Cathedral was launched right after Romania gained its state independence in 1877 but became reality 130 years later during the stewardship of His Beatitude Patriarch Daniel. 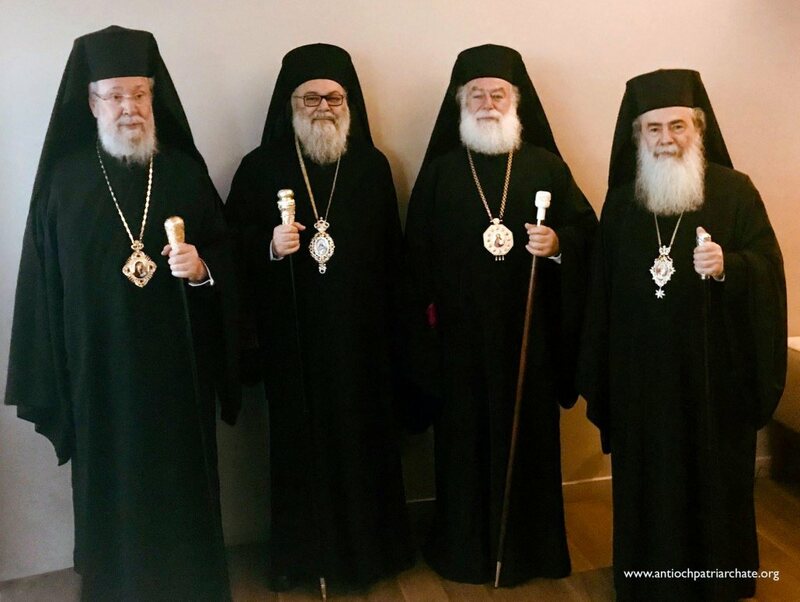 The two patriarchs arrived at the Cathedral at 8.45 am to first consecrate the Holy Altar and bless the mosaic iconostasis and then concelebrate at the Divine Liturgy together with tens of other hierarchs. According to church tradition, the consecration service began outside the building. The Cathedral was anointed with the Holy and Great Myrrh and sprinkled with Holy Water. Next, the bishops entered the Sanctuary, carrying the Paten with the Holy relics. Uncovering the Paten, the two patriarchs placed the Holy Relics in a small gold box. 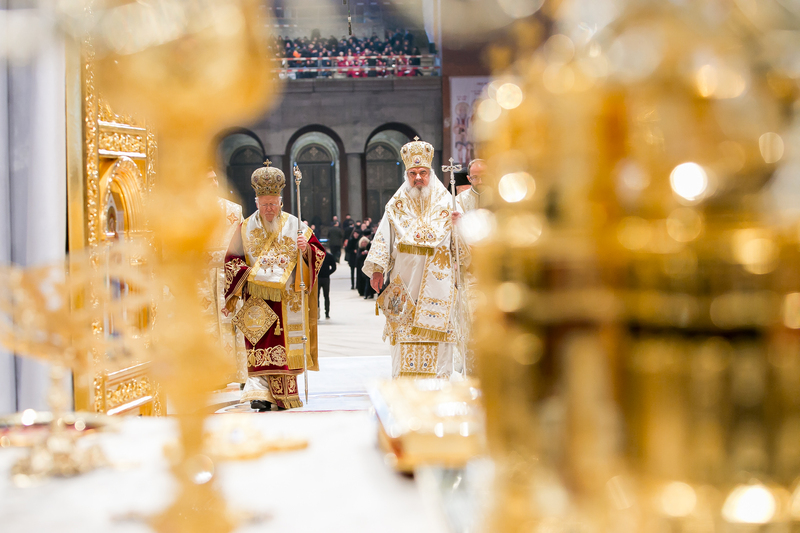 The two Orthodox Primates placed the gold box containing the Holy Relics into a special cavity in the altar. In order to seal them permanently they poured wax over them. Usually the wax contains many sweet smelling and fragrant spices, which were used by Joseph of Arimathea and Nicodemus to anoint the Body of Christ in preparation for burial. The Holy Altar represents the Tomb in which our Lord’s body was placed. All of this takes place during the reading of Psalm 145. 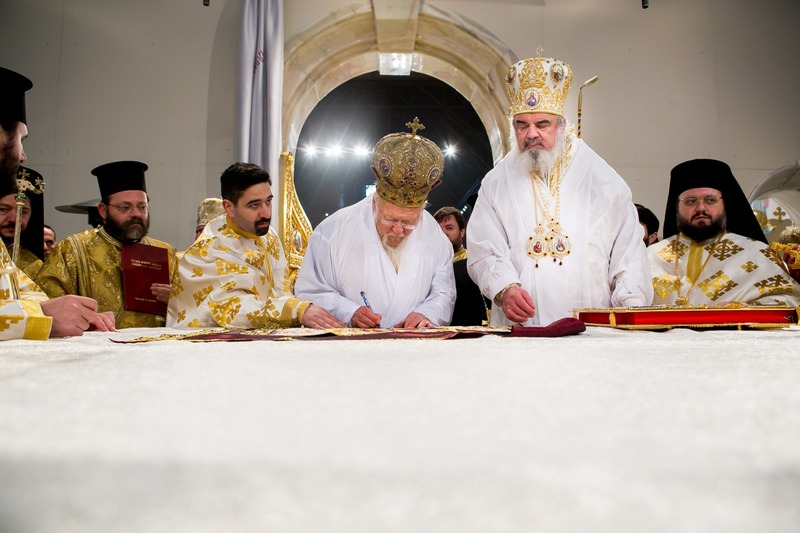 Following the ceremony, the Chief Secretary of the Holy Synod, His Grace Bishop Varlaam of Ploiesti read out the Synodal Act on the Cathedral’s Consecration which was signed by the Ecumenical Patriarch, by Patriarch Daniel and all the other hierarchs present. 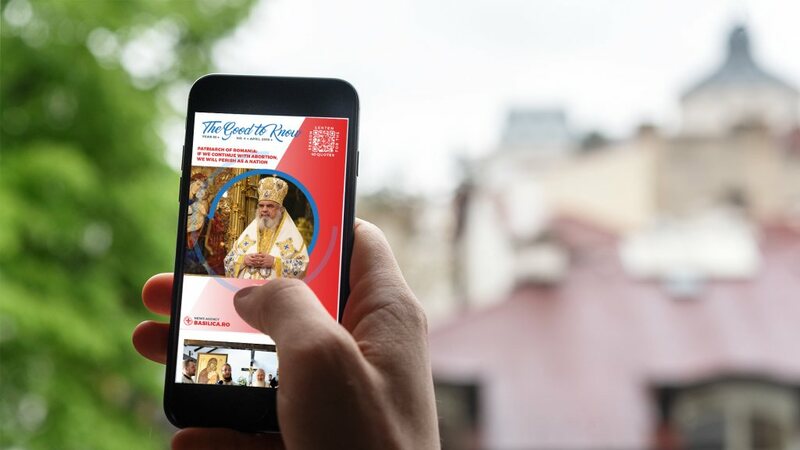 The document includes a brief history of the Romanian People’s Salvation Cathedral since 1877. 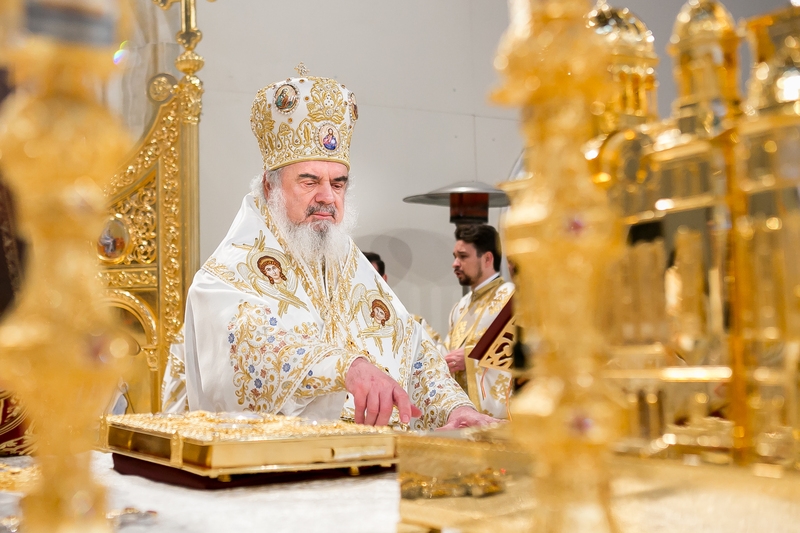 ‘Fulfilling the desire of his predecessors, His Beatitude Patriarch Daniel, after his enthronement as Primate of the Romanian Orthodox Church on September 30, 2007, resumed with priority the project of the Romanian People’s Salvation Cathedral and laid the foundation stone on the site of the Arsenal Hill on November 29, 2007, on the eve of the feast of Saint Andrew the First-Called, Protector of Romania,’ the Consecration Act reads. 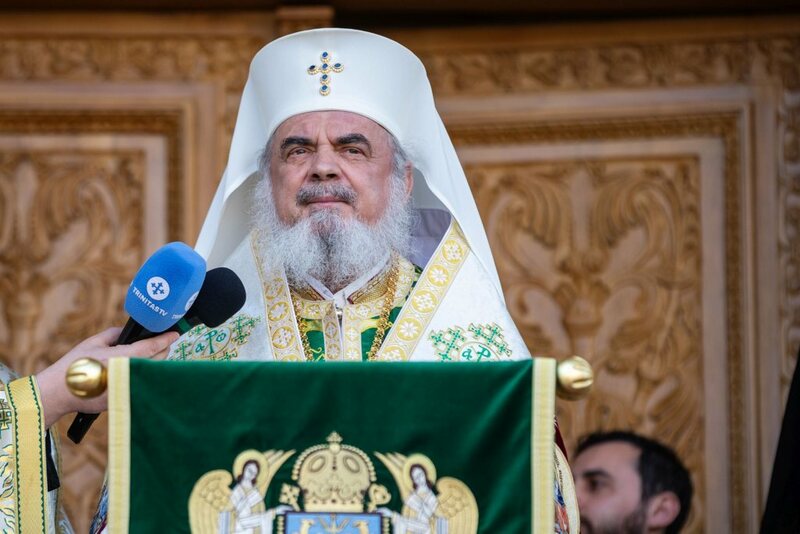 His Beatitude Patriarch Daniel thanked all those who supported the building of the National Cathedral, and all those who will continue to support this national project. 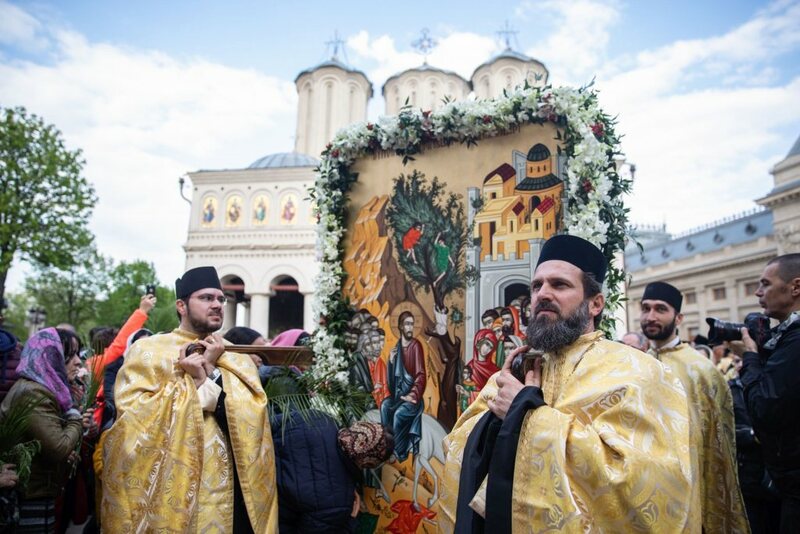 ‘We hope that in three years we will come back to bless the Cathedral’s iconography,’ His Beatitude said pointing to his wish to complete the construction works as soon as possible. 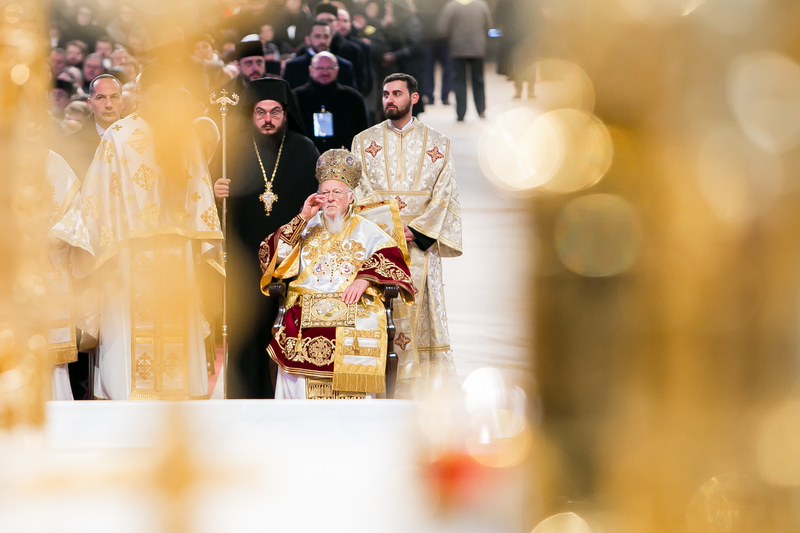 Patriarch Daniel also expressed his gratitude for those who attended the services, due to cold weather. 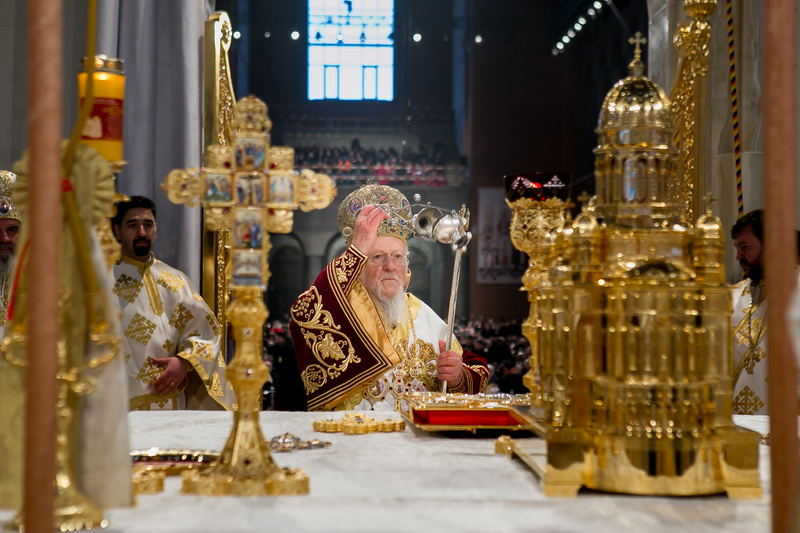 He announced that all believers will be allowed to enter and venerate the Holy Altar until Thursday, November 29. 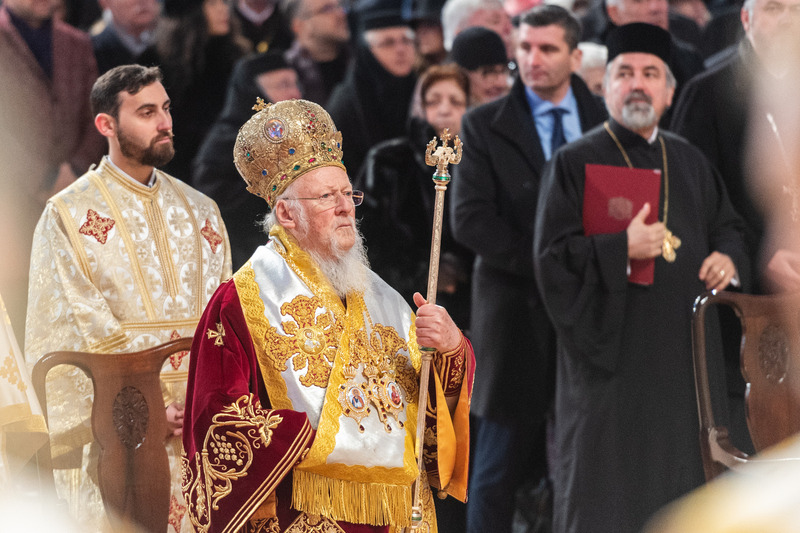 ‘We are honoured by the presence of His Holiness Ecumenical Patriarch Bartholomew, and by your presence of the believers. 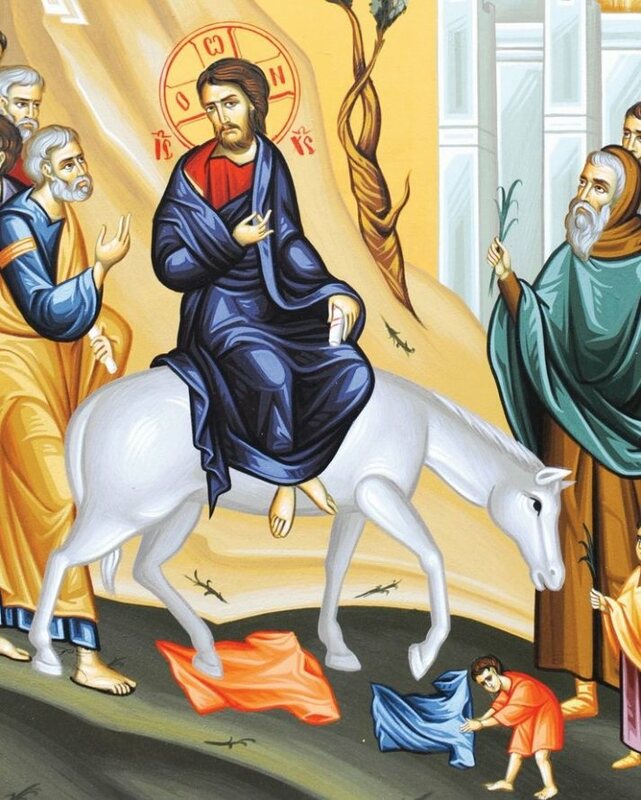 May God grant us good health and salvation, peace and joy for many and blessed years,’ His Beatitude said ending his speech.